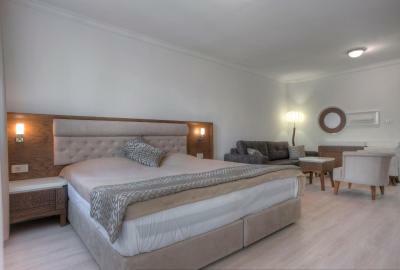 Lock in a great price for Hotel Adrović - rated 8 by recent guests. I recommend this hotel to everyone. 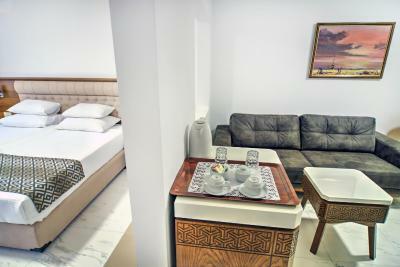 Room was very clean and comfor, secure private parking , friendly stuff. Great experience! Our stay in Sveti Stefan was fabulous! Highly recommended location with amazing sea view. Food was deliciouse, hotel staff make a truly memorabre trip. Great free parking in front of hotel. I would go back in a heartbeat! It was so nice to have the balcony to sit and enjoy the views which were gorgeous! The beach right below is rocky but just on the other side is sandy. 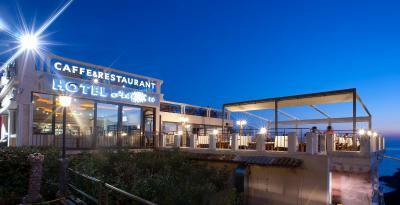 The breakfasts and dinners were great and enjoying them from the big Terrace was relaxing. It is located above a little neighbor with a quick market to grab beers, wine, cheese and meats. There were a coule of stains in the ceiling- the ony downside, we loved this place and felt lucky to find it. The view was stunning (for a room with sea view) and we had the sunset right over the old town. Restaurant is really good too, fresh food and good choices. Just a short walk from the beach. Parking in front of the hotel. This hotel is all about the view otherwise it is an average hotel. The beds are comfortable and the breakfast is good. The restaurant had great food and view was superb. Room and view were excellent. Evening view from balcony was great. It’s the perfect hotel. Equally great for using as a base to explore as a place to relax and unwind. It’s not a flashy hotel or super plush, but it’s great with minimal fuss and everything you need. 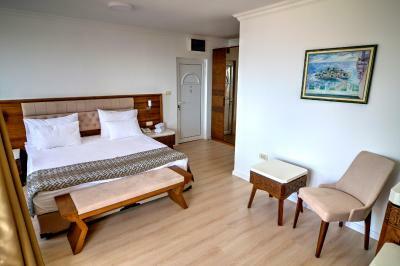 One of our top picks in Sveti Stefan.Only a 3-minute walk from the beach, Hotel Adrovic boasts a prestigious location in the hotel-town Sveti Stefan, an islet 3.1 miles southeast of Budva. It was built in a Baroque style with elements of a mediaeval castle. 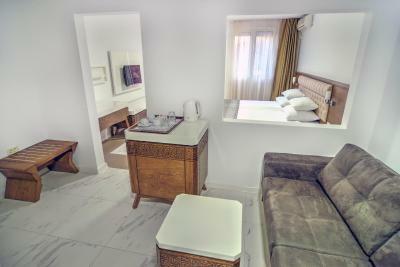 The highly exclusive, comfortable and elegantly decorated accommodation guarantees you a good night's rest, providing excellent facilities and services. 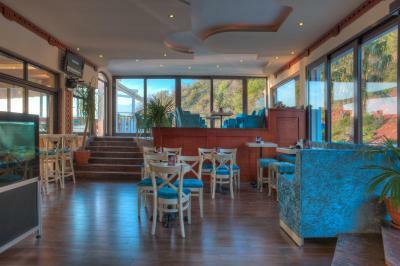 Sample mouth-watering national cuisine with homemade specialities as well as a wide selection of international dishes. 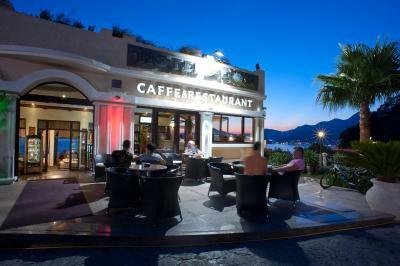 Unwind on one of the magnificent terraces of the cafés and restaurants with superb views of the major part of the Budva Riviera. 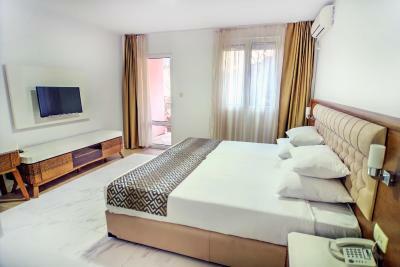 Hotel Adrović has been welcoming Booking.com guests since 24 Jul 2009. 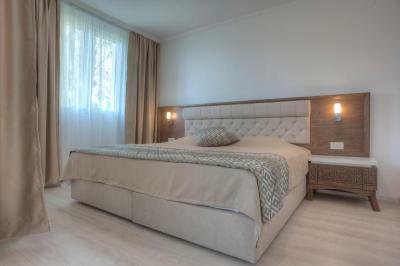 When would you like to stay at Hotel Adrović? 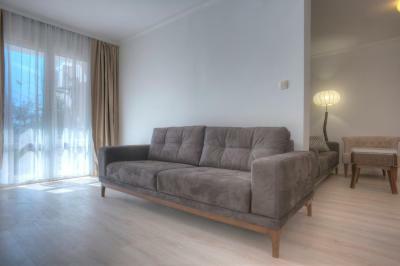 This elegant studio features air conditioning, a balcony and a kitchen. These apartment feature air-conditioning, a balcony, kitchen and a TV. This air-conditioned apartment features a TV, balcony and a kitchen. This studio features a balcony with sea views and air conditioning. 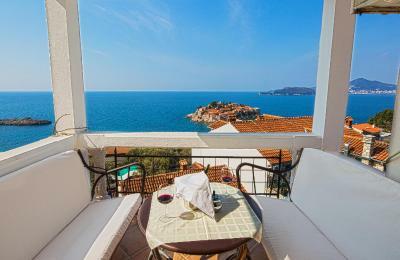 Overlooking the Adriatic Sea and Sveti Stefan, this air-conditioned apartment features a TV, balcony and a kitchen. 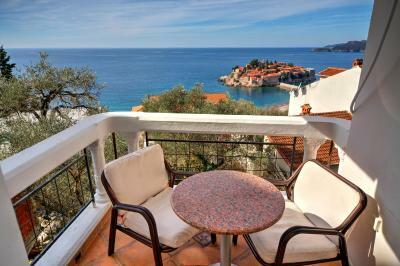 Our hotel has best sea view on Sveti Stefan. We are famous with wedding organisations. 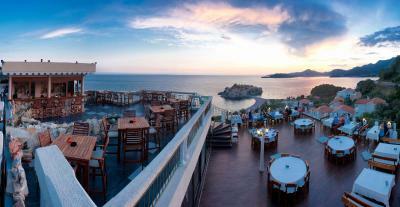 The most romantic hotel in Montenegro. 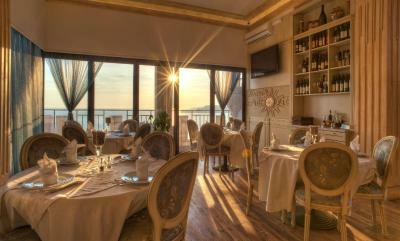 Also you can recognise our restaurant like one of the best in this area, we offer tasty sea food like lobster, shells and ets. House rules Hotel Adrović takes special requests - add in the next step! Hotel Adrović accepts these cards and reserves the right to temporarily hold an amount prior to arrival. The views were spectacular and staff was extremely helpful. 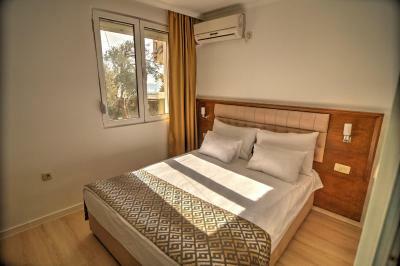 Nice big room with amazing view (sunset! ), good wifi, free parking in front of hotel. Hotel is very clean and modern. Loved the food at the restaurant! We had dinner here every evening. The staff is very friendly and professional. Location is perfect&perfect. Really enjoyed our stay here! Staff were quite rude, not helpful. TV didn’t work and no offer to move room or fix. Breakfast was a bit ordinary. I’ve booked this hotel because of the view. It was very beautiful, but I was very disappointed. Such a hotel, which has so much potential and have no idea about customer satisfaction and service. Firstly when I arrived the reception is a bar! I asked to check in and ask if I can have a coffee.waiter asked me if I want takeaway. When I entered the room , which was beautiful, but was dirty. I found a lipstick marks on my cap, hair on the floor, the shower was so dirty and also what a beautiful view and windows so dirty plus the balcony and furniture. When I switch the light in the bathroom, there was a horrible rattling noise coming out of the fan. I asked someone to come and fix it, but there were not action taken. Breakfast was very limited and the flies??? OMG.there is no internet in the rooms. I was very disappointed as this could really be an amazing experience for guest here, but they have no idea what they doing and when I was leaving the staff won’t even notice you. 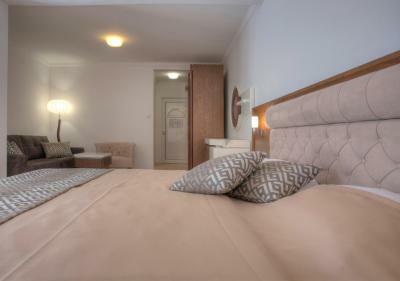 The discription of the room doesn’t match the one on booking.com. Instead of studio for 2 people, with sea view , we had 2 bedrooms with tiny bathroom, where the toilet was broken and partial sea view. The vew from the terrace, breakfast. The young staff were friendly and helpful but there was no one who was available at breakfast to see if you were okay and we had to ask at reception for advice but found the language barrier a stumbling block.